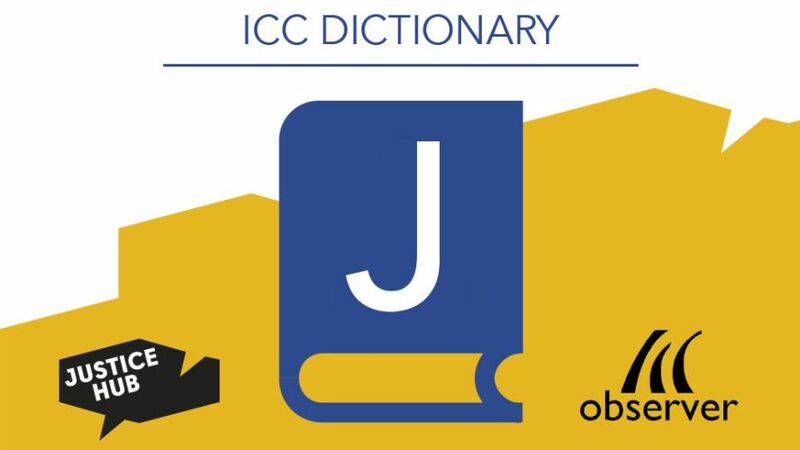 The ICC Dictionary is a guide for everyone interested in the proceedings in The Hague. It contains almost 200 of the most important terms and concepts with short explanations in alphabetical order. 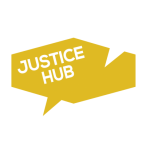 Over the coming weeks, Justice Hub will present a selection of some of the terms highlighted by the Dictionary. Joint Criminal Enterprise (JCE): Joint Criminal Enterprise is a concept that was developed by the International Tribunal for the Former Yugoslavia (ICTY) to hold each member of a group individually responsible. For example, the director of a concentration camp can be held equally liable for murder as the guards, even though the director has not killed anybody. A requirement for a Joint Criminal Enterprise is the existence of a common plan. Collective liability under the JCE doctrine entails that a person, even though not present at a crime scene, can share the same liability and punishment. The ICC applies the concept of co-perpetration instead of JCE. – or if the Security Council has referred the situation to the Court, regardless of the nationality of the accused or the location of the crime. A state that is not party to the Court can accept the ICC’s jurisdiction. As a baseline the ICC can only prosecute crimes that took place after 1 July 2002 when the Rome Statute entered into force. Jurisdiction, Complementarity and Cooperation Division (JCCD): The Jurisdiction, Complementarity and Cooperation Division (JCCD) is a department within the Office of the Prosecutor (OTP). The JCCD includes lawyers, political scientists and analysts who advise the Prosecutor on issues of admissibility and jurisdiction before investigations begin. In the absence of an own police force, the JCCD is also in charge of making arrangements with states and international organisations and to ensure their cooperation during investigations and prosecutions. Jurisdiction rationae materiae: Jurisdiction rationae materia limits the ICC’s jurisdiction to certain crimes. The Court can try genocide, crimes against humanity and war crimes. The Statute also provides for the investigation and prosecution of the crime of aggression. Jurisdiction rationae personae: The Rome Statute limits the ICC’s jurisdiction to natural persons (Article 25) and to persons at least 18 years of age at the time the alleged crime has been committed (Article 26). The Statute does not provide for immunities. Jurisdiction rationae temporis: The ICC’s jurisdiction is limited, not only geographically but also temporarily. Jurisdiction rationae temporis holds that the the Court can only investigate and prosecute alleged crimes that have been committed after the 1st of July, 2002. For states that join the Rome Statute later, the ICC has jurisdiction after the Statute entered into force for that state. States may accept an ICC intervention before that date. In no case, however, has the Court jurisdiction over events before the 1st of July, 2002. Have a look at the other letters: A, B, C, D, E, F, G, H, I, L, M, N, O, P, R, S, T, V, W and the Numbers 1-10.